Nexen Energy says it is laying off about 350 employees after shelving plans to restart a facility at an Alberta oilsands operation that was damaged in a fatal explosion earlier this year. The company idled an upgrader at the Long Lake site after an explosion in January killed two people. 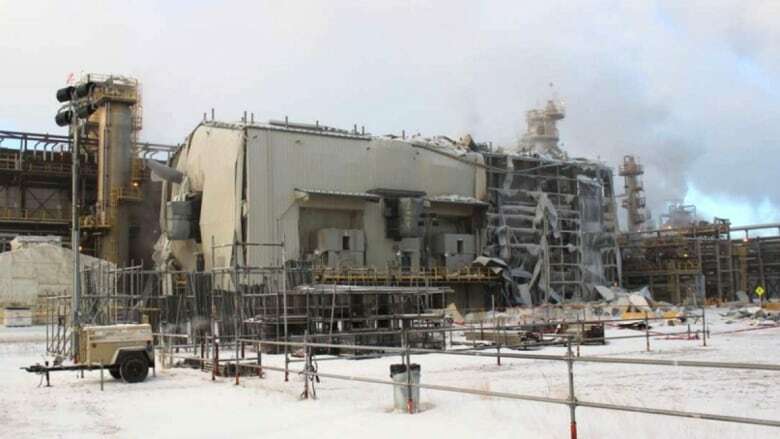 After a review, Nexen has concluded that a short-term repair for the upgrader is not feasible and therefore it is putting it into winter preservation mode with no date set for a restart. Nexen says the explosion was the result of work being performed outside the scope of approved work activities. The company has also finished an investigation into a pipeline leak last year that spilled about five million litres of bitumen, sand and produced water over a 16,000-square metre area. The company concluded that the rupture happened on June 11 — about a month before it was discovered by a contractor — was a result of an incompatible pipeline design for the muskeg ground conditions.